To sign up for a parent account, follow the steps below. If you have any questions, please call Aubrey Thornsbury at (317) 968-7375 or email at athornsbury@gocathedral.com. 1) First, go to www.schoology.com in your browser. 2) Click on "Sign Up" in the upper right hand corner of the page. 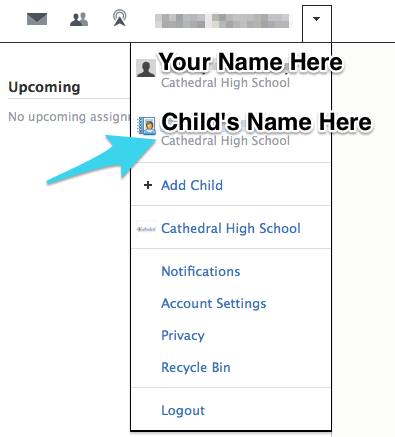 3) Where it says, "Sign up for Schoology", click on "Parent". 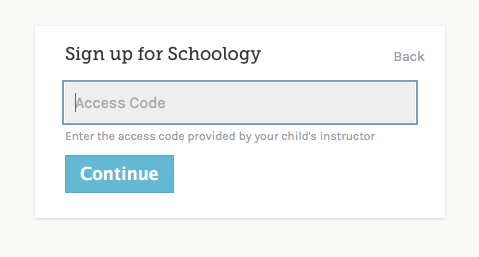 4) You should now see a screen that asks you to input an access code, which should be given to you by your child's instructor or within your Powerschool account under "Custom Screens > Schoology Access"
6) You should now be taken to your Schoology home page. To view your child's classes, click on the arrow button on the upper right hand corner next to your name, and click on your student's name. 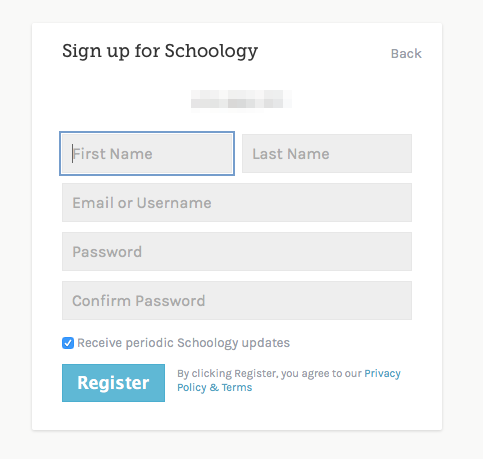 7) Now that you've signed up for a Schoology account, if you have Twitter, follow the Technology Department @gochstech - We post announcements about teacher & parent training, system outages, and technology news.